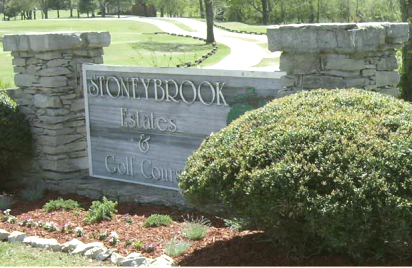 Hazelburn Golf Course is a Public, 9 hole golf course located in Cornersville, Tennessee. Hazelburn Golf Course first opened for play in 1997. The course was designed by Billy Coble. Hazelburn Golf Course is a scenic course located directly adjacent to a pair of interstate highways. Mature trees line the fairways, but only one bunker exists in the design. Water comes into play on four holes, consistently in front of the greens. 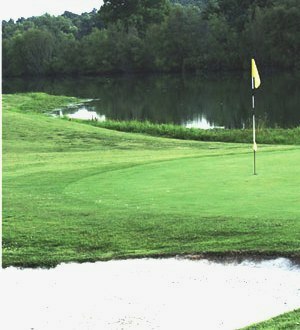 The Hazelburn Golf Course facility plays to a maximum 9-hole distance of 2,835 yards and a par-35. The toughest hole is #8, a 390-yard, par 5, featuring a dogleg, rolling fairway. You have to carry over a large pond from an angle to reach the undulating green. The club's personnel say this hole can be either very nice or quite unforgiving.